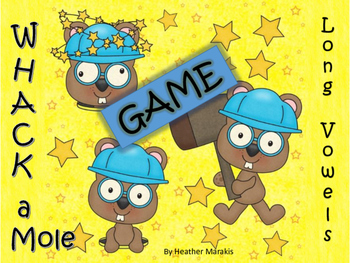 My students love playing this game. 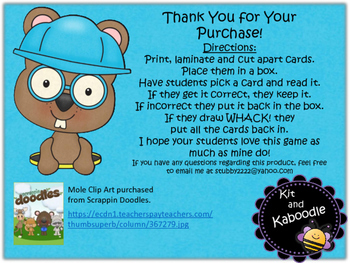 Just print, laminate, cut and put card into a box. They pick a card read it and pass the box. 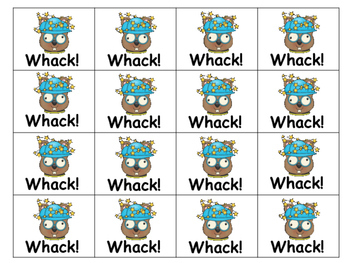 If they pick WHACK! they put all their cards back. 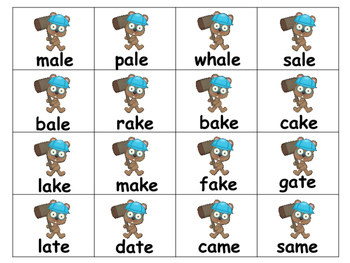 Common Core Standard: RF 1.3c Know final -e and common vowel team sounds.